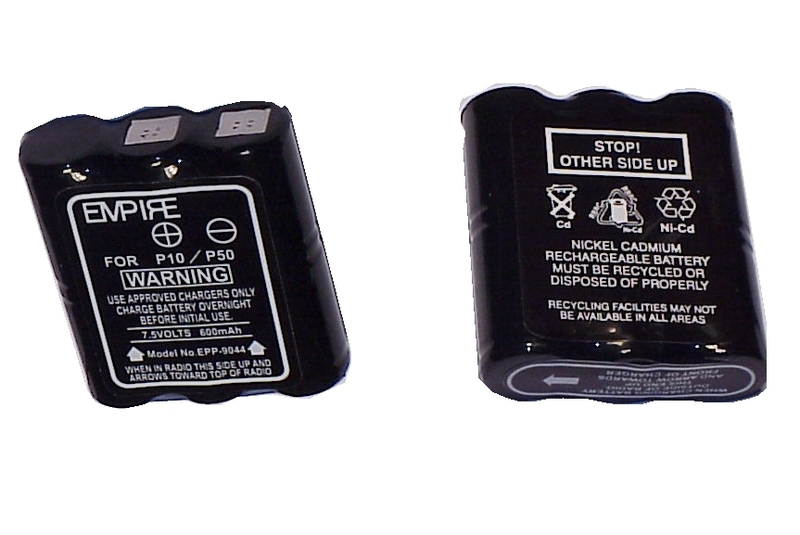 From our selection of two-way radio batteries, you are looking at a brand new replacement MOTOROLA RADIUS 50 battery. Is your Motorola two way radio battery not lasting as long as it used to? The battery is either suffering from a memory affect or has outlived it's use. In any case, this fresh NiCad 600 mAh battery has as much capacity or more than your original battery back when it was new. This high quality MOTOROLA RADIUS 50 replacement battery is designed to meet or exceed the original manufacturer's specifications and is manufactured in accordance with strict ISO standards and will perform as well or better than your original item. The MOTOROLA RADIUS 50 battery comes with a one year warranty and are guaranteed to be free of defects. If you have any questions about this MOTOROLA RADIUS 50 battery or any other replacement Two-Way Radio replacement battery, feel free to call 800-985-1853 and we will be happy to assist you. Dimensions: 2.17'' long, 0.69'' wide, and 2'' tall.